Don’t miss the Annual Pawsitively Matthews Event! 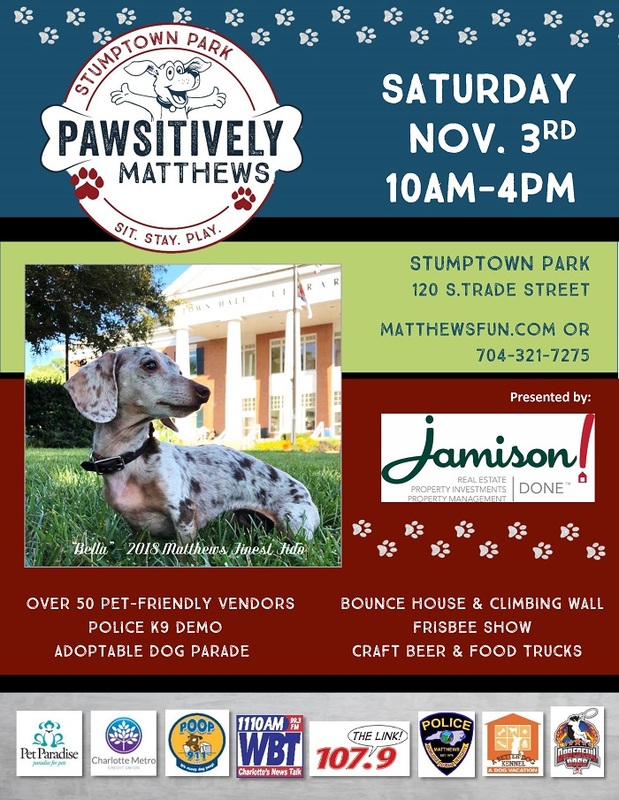 Please Join Jamison Realty for Tail-Wagging Fun at Pawsitively Matthews – Saturday, November 3rd, 10:00 a.m. – 4:00 p.m. at Stumptown Park! 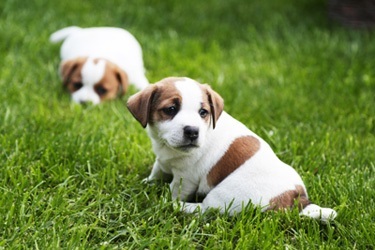 Don’t miss the Annual Pawsitively Matthews! If you’ve attended this event before, you know it’s a fun day for dogs AND their people! Admission is free and the event will be held rain or shine. Jamison Realty is the Presenting Sponsor of Pawsitively Matthews. We look forward to seeing you there! We have sponsored this event for the community and their dogs each year since the first Pawsitively Matthews in 2009, and we love doing it. The entire Jamison team gets involved. Come to meet our dogs, too! 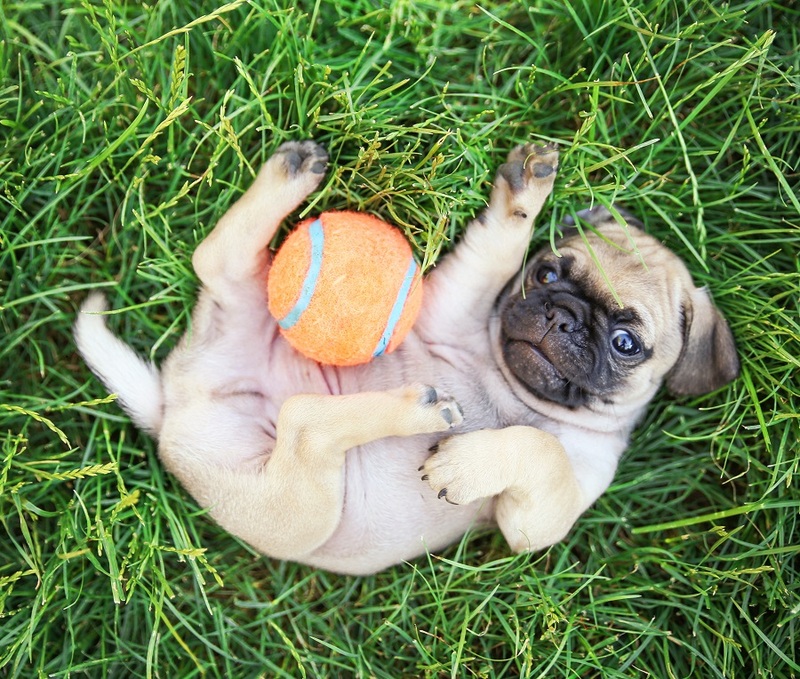 Hang out with your dog at Stumptown Park, shop our vendors, have a craft beer or glass of wine in the fall sunshine and spend the day listening to some great tunes in the park! The Coconut Groove Band will play three sets on the Main Stage from 11:30 a.m. – 4:00 p.m.
50-60 Pet-Friendly Vendors Lining the Park –Pet Stores, Veterinarians, Treat Bakeries, Groomers, Trainers, Pet Sitters and More! Dogs Available for Adoption from Area Rescue Groups until 2:00 p.m.